It's just as important to address the lack of healthy food in neighborhoods like Flint, as it is to focus on getting residents clean water. But the way it's done is also important. President Obama’s visit to Flint, Michigan, last week brought renewed focus to the impacts of environmental racism. Far too many minority families live in toxic and impoverished environments. They live next to congested interstate highways, emissions spewing power plants, and smog pumping refineries. Flint’s crisis is the result of negligence by city and state officials, but it also reflects a larger reality about what it means to grow up poor in America. Like many cities, Flint is also a wasteland for affordable sources of nutrition, making it a classic food desert. According to the 2010 census, 24 million Americans live in such regions. Although the term “food desert” is controversial in some circles, it generally refers to impoverished neighborhoods in which fresh fruit, vegetables, and other healthful foods are hard to obtain. Yet most food deserts can be more accurately described as “food swamps,” where residents are surrounded by an abundance of highly processed, high-sodium, and sugary fast food options. Research shows a higher prevalence of fast food restaurants in addition to a lack of grocery stores in low-income and minority areas. Rural and urban communities of color suffer disproportionately from these circumstances. Latinos and African-Americans are respectively 1.2 and 1.5 times more likely to be obese as their white counterparts largely because of the environments in which they live. And new research demonstrates Black and Latino children have much more severe cases of obesity and diet-related illness compared to white children. In 2011, First Lady Michelle Obama made a controversial choice to join forces with Walmart, Walgreens, and SuperValu, each of which pledged at the time to open or expand 1,500 stores in food deserts and bring more food options to underserved neighborhoods. Since 2010, the White House has also plugged the “Healthy Food Financing Initiative” to provide resources for grocery stores to sell healthy food in communities where such options are scarce. Have the new stores made a difference? It’s still too early to say for sure. Although 656 stores have opened or been renovated nationwide in the last 5 years, that’s less than half of the initial 1,525 the companies pledged to open. And almost as many of those chain stores (434) have been shuttered. 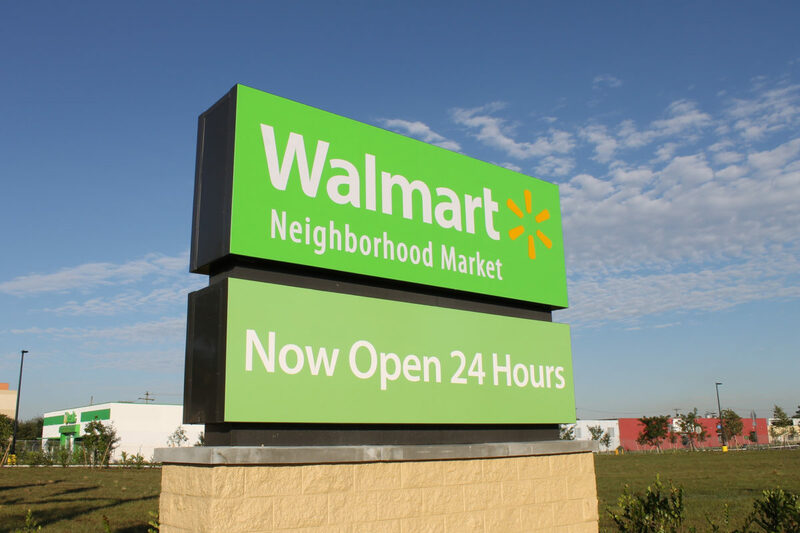 Earlier this year, Walmart announced the closure of 154 stores across the country—disproportionately located in low-income and rural communities. That’s one obvious downside to luring big box supermarkets to the hood: In bad times, they flee. The A&P supermarket chain recently declared bankruptcy and closed or sold all of their stores. This has resulted in more food access challenges in high-poverty areas. The recent closing of a Walmart in Alabama also exemplifies why supermarkets should be supplementary, not the primary sources for nutritious food to sustain a community. The city of Fairfield, Alabama—which is 95 percent African-American—depended on Walmart for about 40 percent of its sales tax revenue. This Birmingham suburb, already crushed by the recent loss of 1,100 U.S. Steel jobs, lost another 300 with the closure of its Walmart Supercenter. Fairfield is poor. City Councilman Darnell Gardner described the closing as devastating, stripping residents of a place to buy groceries and as well as their livelihoods. Worse, Fairfield’s sizable elderly population is now unable to fill their prescriptions at the neighborhood pharmacy. A warm embrace of large corporate supermarkets in poor areas does not bridge gaps to healthy food. These retailers do not have deep connections in communities nor do they tend to understand their needs. They also don’t curtail the proliferation to fast food, which blanket these areas. In other words, better access to fresh and whole foods alone won’t get rid of poor health outcomes in low-income areas. A 2015 National Bureau of Economic Research paper confirmed a similar result. Instead, residents of low-income areas need a holistic approach that empowers local residents and workers, takes into account small mom-and-pop grocery stores, encourages these businesses to invest in their community, and boosts healthy eating habits for the long run. And alternative programs do exist to address the health and lifestyle issues related to food deserts and poverty. In her photo-documentary, The Color of Food, Natasha Bowens highlights efforts of urban farmers of color to improve food access for their communities through the establishment of farmers’ markets and community agriculture initiatives. The African-American residents of Greensboro, North Carolina—home to 17 areas similar to how the U.S. Department of Agriculture would define a food desert—reinvented their environment when the Winn-Dixie supermarket closed and the city failed to replace it. Through grassroots fundraising, city grants, and foundation loans, community members formed a $2 million Renaissance Community Co-op dedicated to providing affordable healthy food and good worker wages. Philadelphia created a Healthy Corner Store Network that “supports efforts to increase the availability and sales of healthy, affordable foods through small-scale stores in underserved communities.” The network collaborates with local stores to increase the availability of fresh produce and provides residents with health screenings and free cooking classes. New research shows the stresses of being poor correlate to poor health. Poverty itself makes people ill, with stress causing inflammation in the bodies of low-income people, leading to hypertension, heart disease, diabetes and other diseases. Nutritional challenges like food insecurity can be stressful for a low-income family, particularly for a household that is experiencing it only recently. This reality highlights the need to fight economic inequality in order to improve the lives of those plagued by it. Further, some grocery store chains such as Whole Foods and Trader Joe’s are often seen as anchors for gentrification, leading to property value increases and “revitalization” that result in the displacement of low-income families of color. Recent supermarket closings and unfulfilled promises for community revitalization and better food access have exacerbated the difficult health and economic conditions troubling families in already battered communities. Flint’s water crisis is providing a small window onto the myriad of socioeconomic and environmental challenges America’s poor communities and communities of color confront daily. We must look beyond improving access to clean water and corporate grocery store chains to rebuild impoverished areas and improve health outcomes. We can start by discouraging the proliferation and local zoning of fast food. We need sustainable community-level solutions to improve the welfare of all of our nation’s families and children. Vijay Das co-authored this article. Where was the solution revealed in this article, am I missing something here? So, we need to get "affordable" boutique food to impoverished people. And by some feat of magic there are neighborhood people who can produce these foods and distribute them quaintly and affordably? And these virtually non-profit food producing magicians will hire local people and pay lavish wages? To do what? For whom? And with what money if profit is discouraged in the first place? And all this will assure a neighborhood loyalty that will keep local food sellers enduring hardships peculiar to these impoverished neighborhoods including vandalism and theft, armed robbery, random gun violence? Obviously you are dreaming. In the real world it's Walmart or nothing.